Meanwhile lets just say that we are proud James Forrest contributed a whooping 11 entries. Please note that there is an upcoming official’s workshop on the 20th of March at 6:00pm. 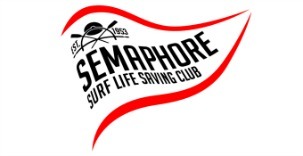 Contact Blake Steele at Surf Life Saving SA for further details at Blake.Steele@surflifesavingsa.com.au or 08 8354 6900. Volunteer Grants of $500 Available – DEADLINE TODAY! The first order of new club tops have arrived, please come to the uniform shop to collect this weekend. Uniform Shop SALE this Weekend! This Saturday in the uniform shop there will be 50% off all bathers and tops (excluding high-vis and club polos). Members draw Thursday night – a whopping $1050!!! This weeks Members Draw is Thursday, 28 September between 6.30-7.30pm. It’s a massive $1050 but remember if you aren’t present when the draw is done and your number comes up you can’t win it!